Buy LEGO® Marvel's Avengers and get the games download now! Avengers Assemble! The best-selling LEGO Marvel videogame franchise returns with a brand new action-packed, Super Hero adventure. LEGO Marvel’s Avengers features characters and storylines from the critically-acclaimed film Marvel’s The Avengers and the smash hit sequel Marvel’s Avengers: Age of Ultron, as well as playable content based on additional Marvel Studios blockbusters, including Marvel’s Captain America: The First Avenger, Iron Man 3, Thor: The Dark World and Captain America: The Winter Soldier. Play as Earth’s Mightiest Heroes in their quest to save the world. Experience the Blockbuster Action from the Avengers Films – Relive the most amazing moments from the Marvel Cinematic Universe, including the famed Battle of New York between the Avengers and Super Villain Loki as seen in Marvel’s The Avengers, experience the epic action from Marvel’s Avengers: Age of Ultron with The Avengers, Quicksilver, Scarlet Witch, Vision and Ultron, journey through familiar Marvel cinematic locations and more, all with a splash of classic LEGO humor! 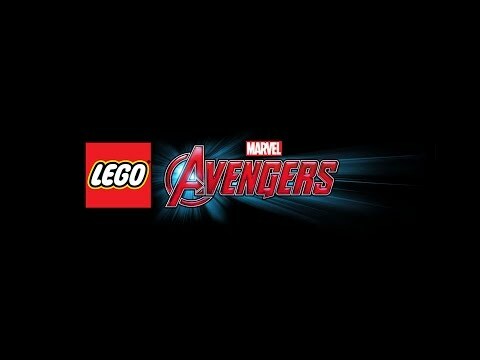 Diverse Roster of Characters – Play and unlock more than 100 new characters that have never appeared in a LEGO game before, including Super Heroes and Super Villains from the Marvel Cinematic Universe, as well as classic Avengers characters featured in Marvel comics. Variety of Iconic Marvel Cinematic Locations – Adventure through iconic settings from the Marvel Cinematic Universe as seen in Marvel’s The Avengers and Marvel’s Avengers: Age of Ultron, while also experiencing playable content and locations from additional Marvel Studios blockbusters, including Marvel’s Captain America: The First Avenger, Iron Man 3, Thor: The Dark World and Captain America: The Winter Soldier. New Character Powers and Abilities – Execute incredible combo moves, solve puzzles and access hidden areas with enhanced character abilities, including Avengers Team-Ups, Avengers Initiative moves to progress through the story and other special powers to battle in true Avenger fashion. Open World & Free Roam Gameplay – Enjoy a unique take on open world gameplay while exploring the expansive streets of LEGO Marvel Manhattan, or discover up to seven other supporting HUB environments from the Marvel Cinematic Universe, where players can roam freely, collect their fill of gold bricks and unlock characters along the way.